Scent Laboratory: opening of Olfactory Labyrinth ver. 2, at Museum Villa Rot in Germany. opening of Olfactory Labyrinth ver. 2, at Museum Villa Rot in Germany. 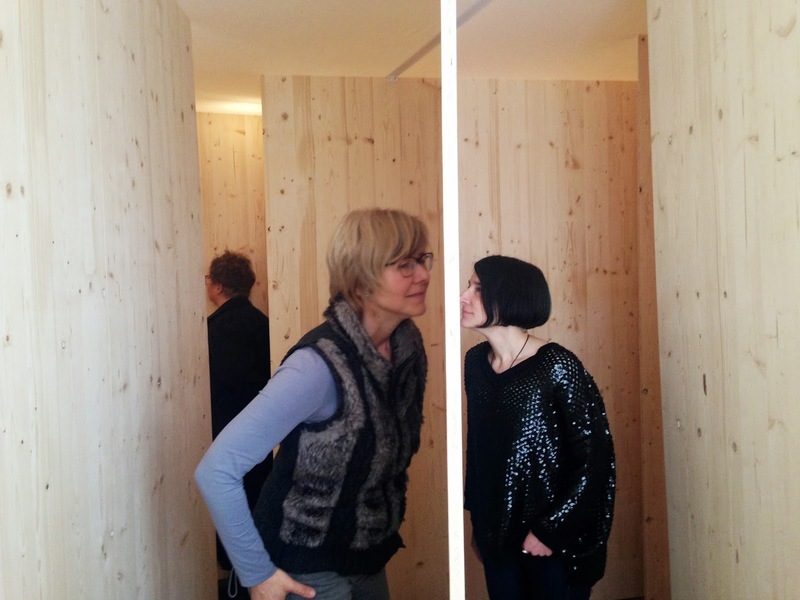 Navigating with the nose in Maki Ueda's smell labyrinth in villa rot. Just finished the opening of Olfactory Labyrinth ver. 2, at Museum Villa Rot in Germany. The audience looked enjoying being lost in the space where the scents of wood are filled. Being in Europe, especially in this context, I cannot ignore my Japanese cultural background. If I compare my work to the other artists's, mine is very minimalistic. I'm not expressing my statement nor fascination, emotion nor manifest with my work it almost seems like. What I am trying here is perhaps rather to make myself transparent, by giving audience freedom for experiencing and understanding. Smelling is an active and subjective action. So I provide an occasion where the audience enjoy being immersed in trance, like meditation. In that sense my attitude (and my work) is very exotic I could say... I got even more ideas to make different labyrinth, the next step. I was a bit bored with eating bread and ham but it made me emotional when I was leaving there. Such a wonderful and peaceful environment, staff, and the team of artists!